GRAFENWOEHR, Germany — Questions on any garrison-related services are fair game at the community’s Winter Town Hall on Facebook Wed, Nov. 8 from 3:30 – 4:30 p.m.
Garrison staff and leaders from all four installations — Tower Barracks, Rose Barracks, Hohenfels and Garmisch — will be on standby to address any community-specific concerns. Among the installation management experts on the open forum town hall support team are professionals in housing and development, installation safety, career management and hiring, emergency services, operations, public works and religious support. Figuratively speaking, the virtual town hall opens the floor to questions Thu, Oct. 5, in the Facebook event on USAG Bavaria’s Facebook. Community members can begin adding questions as individual posts as soon as the event goes live. During the virtual town hall Nov. 8, subject-matter experts will review the comments and provide feedback in real time. 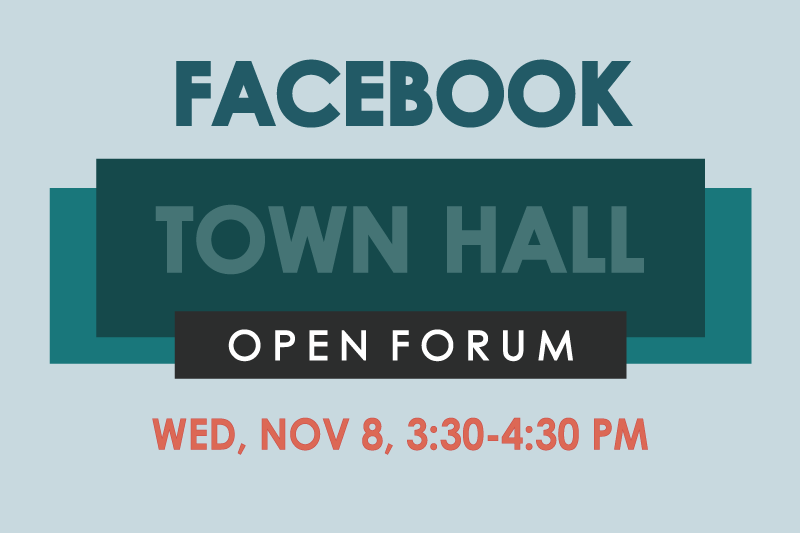 Any concerns and questions not addressed within the hour of the town hall will be answered by Fri, Nov. 10. While we encourage community members to voice their concerns and use this opportunity to connect with installation service providers, questions or comments outside garrison’s scope will not be addressed. This includes questions regarding tenant units or chains of command and DoDEA schools. Every question, including follow-on inquiries to previous questions, must be treated as an original question and posted as a new comment (at the top of the forum). This helps us track all submissions and provide responses as quickly as possible. In preparation for what will likely be a snowy winter, the Garrison Commander Col. Lance Varney will open the forum with a brief rundown on winter weather reporting procedures, how to receive updates on school and base closures, and what you steps to can take to stay safe on the roads this winter. Future town halls are on the horizon. The garrison will conduct one in conjunction with every season. Want to be the first to receive garrison news and updates? Visit our website at www.bavaria.army.mil and signup to receive our Thursday newsletter. You can also stay connected by following us on Facebook.